The trend of flower crowns is alive and strong and we love the free-spirited look of a flower crown against the natural setting of the Rocky mountains in Canmore. There are endless ideas for designing a flower crown but the blooms you choose must work carefully with your wedding flowers, style and colours. However, choosing the flowers is only one side of the task, ensuring the flower crown works with your hair and wedding look is the other half you need to consider. 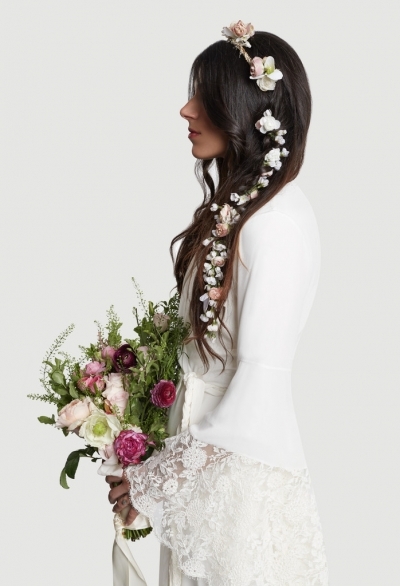 We chatted with expert Canmore wedding hairstylist Joanne Bokitch of Mountain Beauties for her secrets and tips to making sure your flower crown is not only gorgeous but works perfectly with your hair. 1. 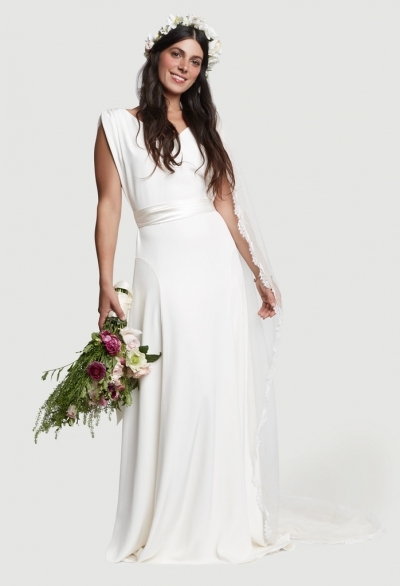 Make sure to measure your head at the exact location where you will be wearing the flowers. You want the crown to be snug but not tight. If it's too loose you will be fighting with it all day. 2. Let your hairstylist in on the plans and designs of your flower crown as they can provide input into what will work best with your hair and the type of overall look you are trying to achieve. 3. Consider shadows. Some flower crowns can be quite big and can cast a shadow over your face, I recommend brides take this into consideration when choosing and designing their flower crown. 4. Be sure to smell the flowers you will be wearing. If you're sensitive to certain smells a flower crown might not be for you. We hope these flower crowns give you a great dose of bohemian and free-spirited wedding inspiration for your Canmore wedding and some tips to make sure your wedding look is absolutely perfect. 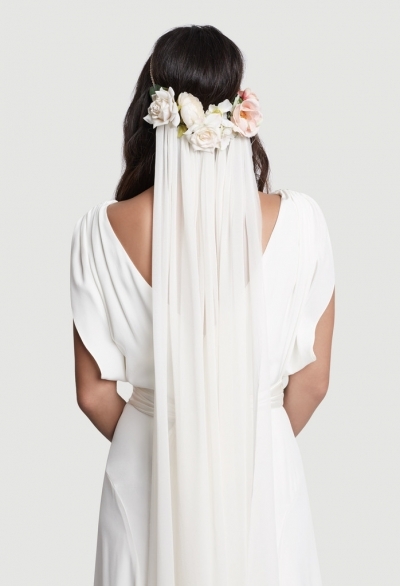 All flower crowns and images are from the incredible Stone Fox Bride Veils & Crowns Collection. 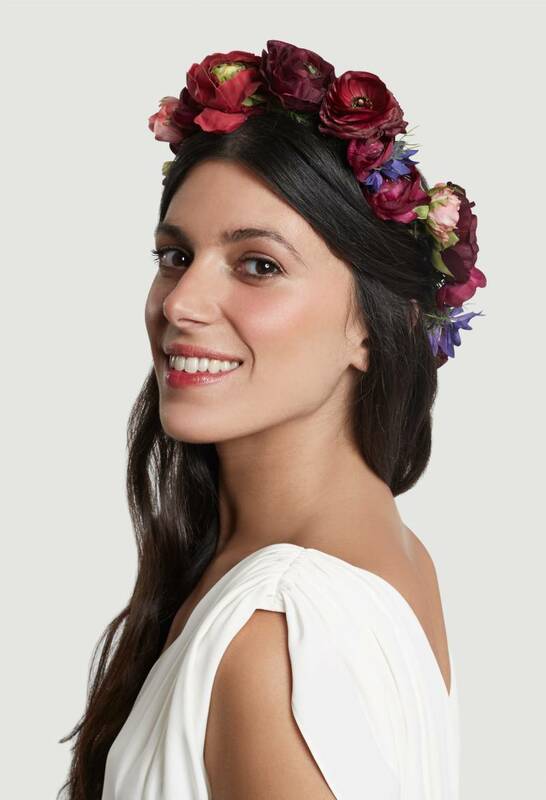 You can also create your own gorgeous flower crown with a local Canmore florist. 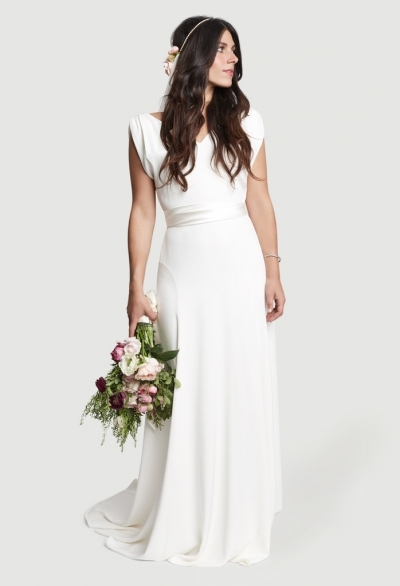 And of course, along with your flower crown you'll need to find an amazing Canmore wedding hairstylist and we love working with Mountain Beauties who provided all the great tips today.